Raising a child can be an exciting journey filled with many highs and lows. Some of the highs may consist of seeing your child excel academically, while lows may consist of long days and sleepless nights. Another high when it comes to raising kids is watching your child uncover their talents and things they’re noticeably good at. You may be reading this because you’ve recently noticed a talent in your child or want to be able to identify it when the time comes. If this is the case, you should continue reading as you’ll find four hidden talents to look out for in your child below. An area that you may find your child is exceptionally good at is music. 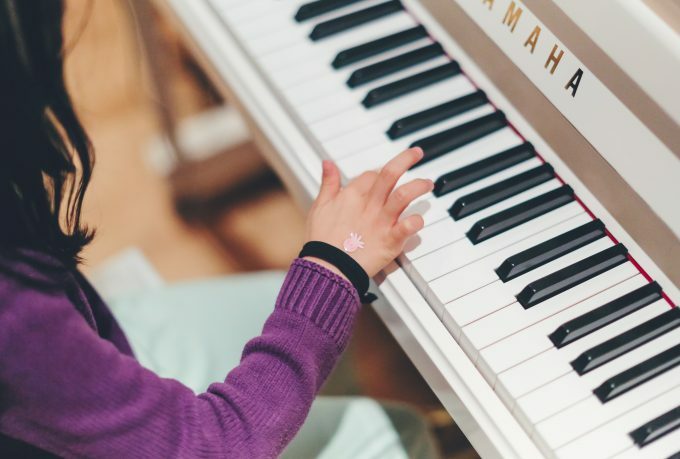 Some signs that this may be the case include noticing that your child has rhythm, their sounds are perceived differently, that they express their thought through music, and that they’re fascinated by instruments. If this is the case, then you should think about how you can help them develop this interest and talent. It could mean starting by getting them to learn to play an instrument or two of their choice. If you check sites such as DailyeDeals, then you should be able to get instruments at a discounted price. You can then look into getting them a professional teacher who can help bring out the best in them and ensure that they practice on a regular basis. If your child is confident, always the star in their school play and enjoys reenacting scenes from their favorite movie, then you may be raising the next famous actor or actress. Some key qualities of kids who are talented in the area of drama include them being able to use their imagination, pay attention to more than words, are in tune with other people’s emotions, and also happen to be very expressive. If your child has these qualities and is talented in the drama department, why not consider taking them to a few drama classes outside of school or on the weekend? You can also consider getting them a personal drama coach who is capable of helping them refine their acting skills and improve their talent. Drama is also good for kids as it can help build their self-confidence, empathy, coordination, and communication skills. Some things to prepare yourself for if your child does become an actor include rejection, stress, the need for organization, trying to balance everything, and disappointment. Another hidden talent that you may be able to identify in your child is that of writing. There are many ways that you can identify this gift, but different than the other ones, you’ll be able to tell by the way that they write as well as their interest in it. Some signs that your child may have a writing talent include them having a wild imagination, being good with words, excelling in English, and preferring to express themselves through writing. To help them develop their talent, you should get them to write more, enroll them in writing competitions as well as other things that could help expose their talent. If your child does eventually decide they want to be a writer, then you should ensure that you support them and encourage them to diversify their writing skills so that they are more marketable and able to make money during down times. You may have noticed that your child is always winning at games such as basketball, soccer, or football. If this is the case, you shouldn’t ignore this gift, but instead, see if there’s potential. Without being forceful, try and get your child to find a sport that they enjoy and excel in. Some tips for making them a star athlete include encouraging them to play more and applying less pressure as well as giving positive feedback. You should find that, by doing this, your child could become the next big athlete and have fun in the process. Talents are something that everyone has, however, it’s important that they’re fostered so that they can develop and grow. When you see something unique in your child, it’s imperative that you’re able to identify it as early as possible to help it grow and develop. It could be by getting them to practice more or taking them to classes that will help make the most of their talent. Whatever the case, it’s key that you do the best you can so that your child flourishes in every way possible. There is no better time to foster a talent than when they’re young.